Inspired by the 2019 Karonga Diocese theme “Year of Missio Ad Gentes” which is a call to evangelization, youth of St Mary’s Parish have been called upon to deepen and live their faith as one way of evangelizing to their friends. Sister Beatrice Chipeta, of the Sisters of Holy Rosary, made these remarks during the one day 2018/19 evaluation and planning meeting for the young Christians of St Mary’s Parish. Sr Chipeta said young people can only sustain their Catholic faith, amid the growing global religious plurality and confusion, is by deepening their faith. 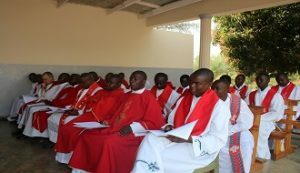 “Only when you are well acquainted with the teachings of the Church and when you have profound faith that you can fully submit yourselves to the service of the church,” Said Sr Chipeta. In the spirit of Fides et Ratio Sr Chipeta urged the young people to work towards understanding their faith for them to be able to live it and defend it. She further outlined the importance of planning and goal setting saying the goals set help everyone to set standards and also measure achievement. 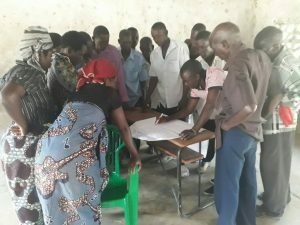 Further the youth considered ways of sustaining their grouping, planned their activities and calendared the major events of 2019 in advance. Through the annual plans, the youth will have ample time to fundraise and prepare well in advance for effective implementation of the planned events. 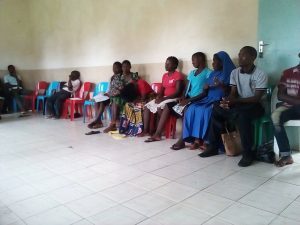 During the evaluation, many young people felt the grouping and their Sunday meetings are a catalyst to their spiritual and physical and socio-economic development. In his remarks, Methodology Advisor for St Mary’s Parish, Philip Chisi, hailed the youth, their leaders and animators for providing positive feedback about their social and spiritual experiences in the year 2018. 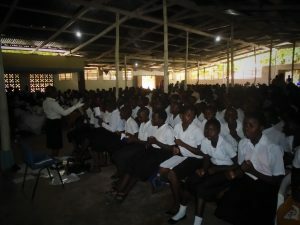 The gathering which took place on 4th January 2019 at Lusubilo Conference Hall was organized by Sister Chipeta and over 50 young boys and girls attended. The aim was to allow the youth reflect into 2018 and make proper projection of plan of actions for the year 2019. CCJP Karonga Engages Traditional Leaders in Fighting GBV; SGVH Mfinda of Wenya Discourages Men Drinking Behaviour.